In Comments and a Petition for Rulemaking submitted to the U.S. Copyright Office on January 30, 2017, the National Writers Union and three other national organizations of writers — the American Society of Journalists and Authors, the Science Fiction and Fantasy Writers of America, and the Horror Writers Association — have reiterated our longstanding belief that requiring us to itemize and register each individual written work we want protected by copyright is a violation of our rights as writers and a violation of U.S. treaty obligations. The NWU and the other writers’ organizations also formally asked the Copyright Office to reduce the burden on writers who want to protect our rights by creating procedures for group registration, with a single application and fee, of (a) multiple articles or stories, regardless of whether they were published in “periodicals”, and (b) multiple articles or stories distributed online, regardless of whether they are considered “published” or “unpublished”. We are making this request because the U.S. 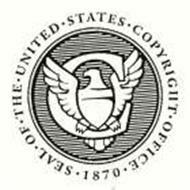 Copyright Act (17 U.S. Code §411–412) provides that if writers don’t register our work with the Copyright Office, we can’t sue to enforce our rights or collect damages for copyright infringement. The NWU has long argued that this is unfair and violates U.S. obligations under international copyright treaties. The Berne Convention, to which the U.S. is a party, requires that “the exercise of these rights shall not be subject to any formality” such as registration or inclusion of a special copyright notice or symbol. Repeal of Sections 411 and 412 of the Copyright Act is one of our priorities for reform of U.S. copyright law. Congress needs to change the law. But in the meantime, the U.S. Copyright Office could do a lot to make registration less burdensome for writers. For many types of writing — especially short-form writing such as short articles, short stories, or most Web content — the current registration fees and procedures are prohibitively costly and time-consuming. To register copyright of a Web site, blog, or social media feed with daily updates, for example, requires a separate copyright application form and fee each day, for a total of more than $12,000 a year in fees. Multiple articles published in print periodicals can be registered with a single application, for a single fee of $35. But most digital formats, and many print formats, don’t qualify under the narrow definition in the copyright regulations of a “periodical”. Bizarrely, Web content is sometimes considered “unpublished” even while it is being distributed worldwide. There is no way to tell whether a court would find a particular Web page published or unpublished, and a writer who guesses wrong , and uses the wrong registration form, could lose the right to enforce her copyright. And these formalities could get worse. In its latest proposal for changes to the registration procedures, the Copyright Office has proposed to prohibit writers from submitting either the original word processing or text files of their writing, or paper tear sheets or photocopies of publications. Instead, writers wanting to register their copyrighted work would have to submit a PDF files of an image of the entire page on which any article was published. How many freelance writers have a flatbed scanner large enough to create images of entire newspaper pages? Enough is enough. We think that as long as registration is required, the Copyright Office should make it easier, not harder. The Copyright Office proposal for changes to the group registration procedures is one of six open rulemakings (proposed changes to regulations) and eight open policy studies (which could lead to recommendations to Congress for changes to the Copyright Act) that are pending with the Copyright Office. The NWU has submitted comments and recommendations in many of these proceedings, and is continuing to monitor the actions of the Copyright Office that affect the rights of our members and other writers. There was only one other response to the request for comments on group registration of contributions to periodicals, so we expect that any final rule on this subject issued by the Copyright Office will be accompanied by an analysis and response to our comments. There is no specific schedule for when the Copyright Office will respond to our Petition for Rulemaking. If the Copyright Office denies the petition, it will need to provide a public explanation of its reasons. If it grants the petition, it will begin a public “notice and comment” process in which we and other members of the public will have an opportunity to provide further recommendations and to respond to the Copyright Office’s proposals for new or revised regulations.